A high performance climbing shoe purposely built to provide the solution for modern bouldering problems. 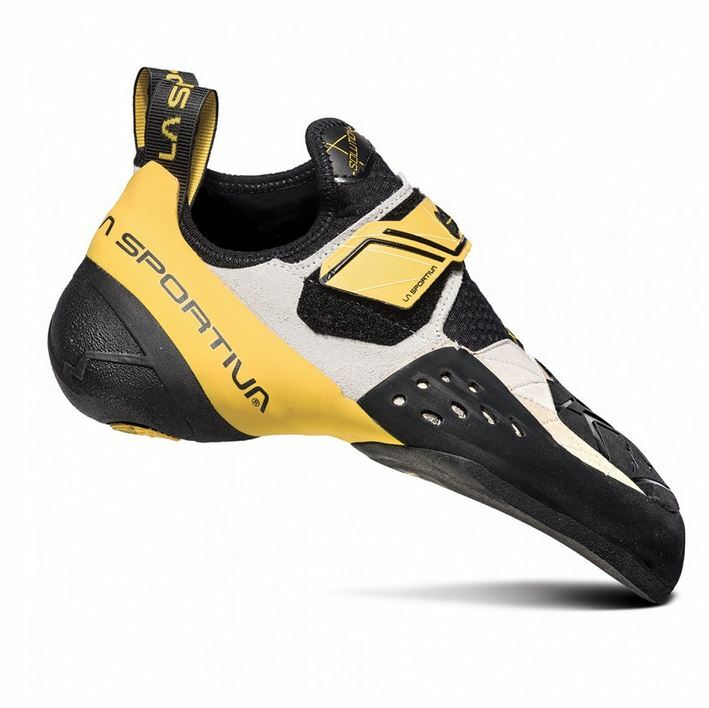 Wrapped in sticky Vibram XS Grip rubber and drastically down-turned, the Solution sports a molded 3D heel cup and the patented P3 Power Platform which retains the downturned shape of the shoe. This creates a shoe that hooks, grabs, edges and smears on any feature you can find. The Lock Harness System surrounds your foot and unifies it with the upper for a perfect fit. The highly adjustable Fast Lacing System lets you tailor the quick closing hook and loop closure for a highly personalized fit. All said and done, this shoe will let you climb harder.